What is so mind-numbing is that we talk about the immigration issue as if it’s all about the U.S.-Mexican border, but 40 percent of undocumented immigrants had visas and overstayed them. In other words, almost half of undocumented immigrants came here legally. Immigration isn’t about high-skilled workers or low-skilled workers. Every immigrant has something to contribute. We’re living in an unprecedented age of intersectionality. You don’t have to be gay to fight for LGBT rights. You don’t have to undocumented to care about immigrant rights. My equality is tied to your equality. That makes me feel very optimistic about the future of this country. 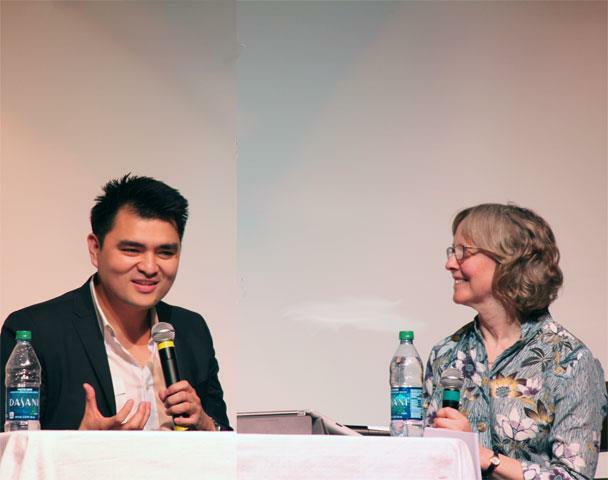 Follow this link to view the video of the SASS 2013 fund-raiser, A Conversation with Jose Antonio Vargas.